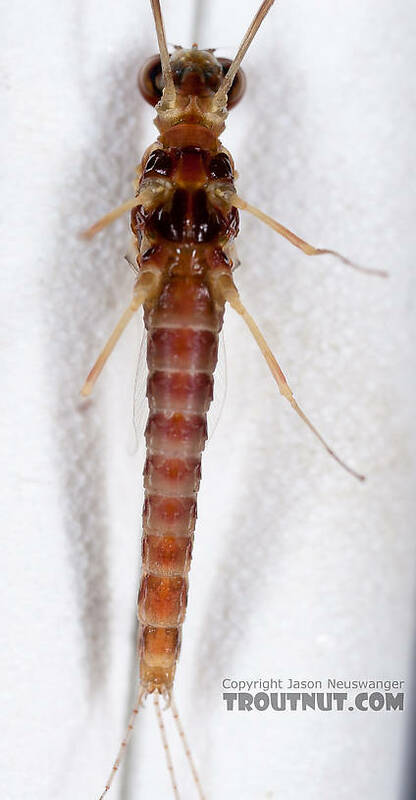 This spinner molted from a dun after being photographed, and the dun form is listed here as a separate specimen. 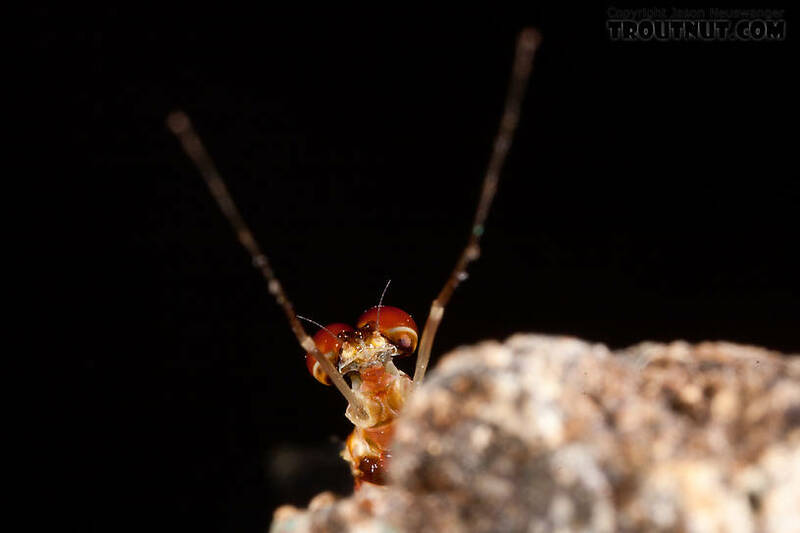 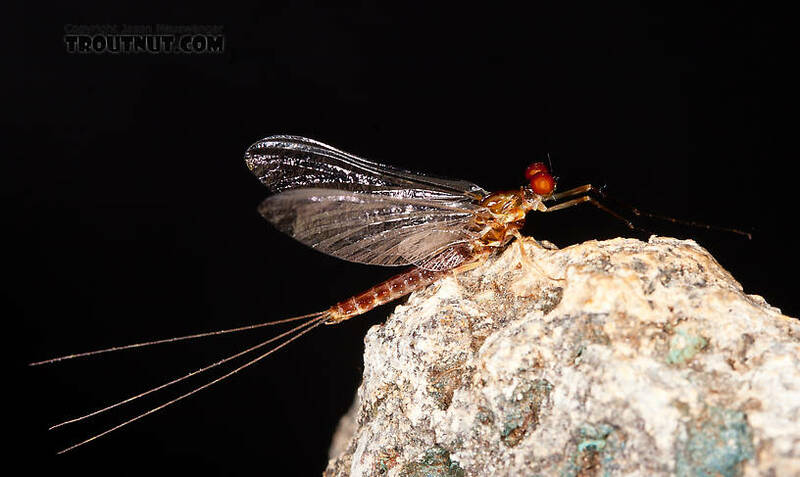 I've rarely found a more cooperative and photogenic mayfly. 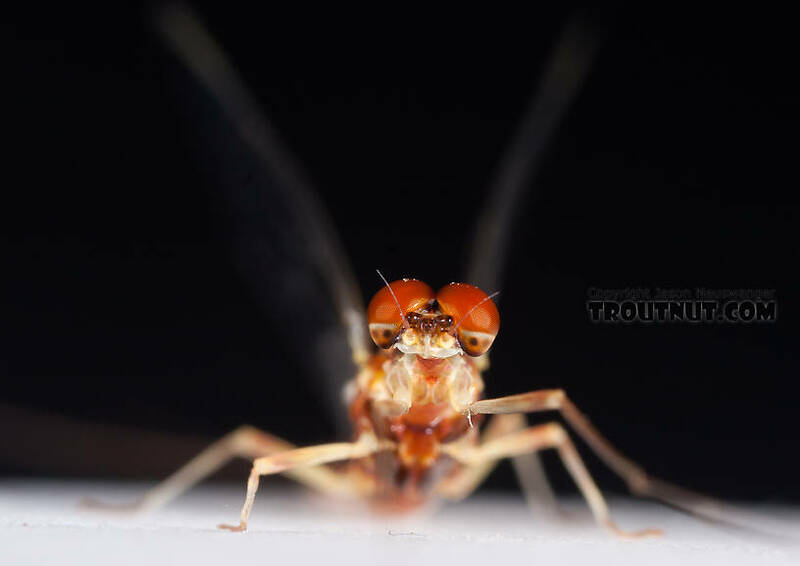 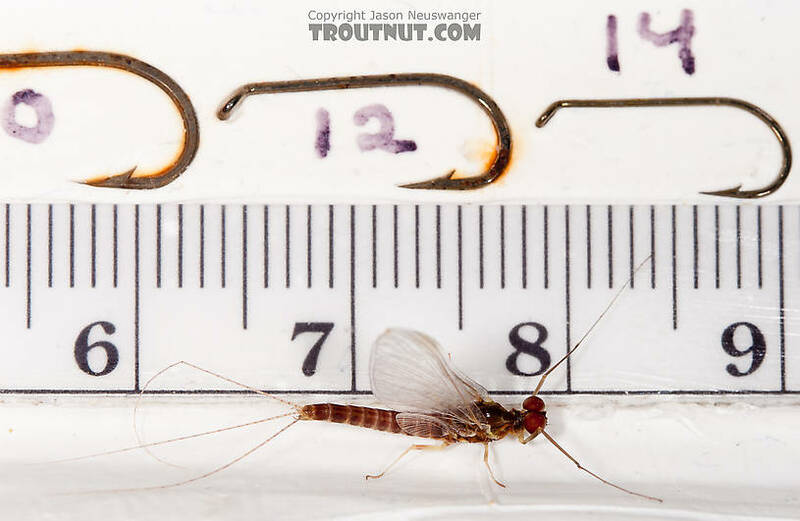 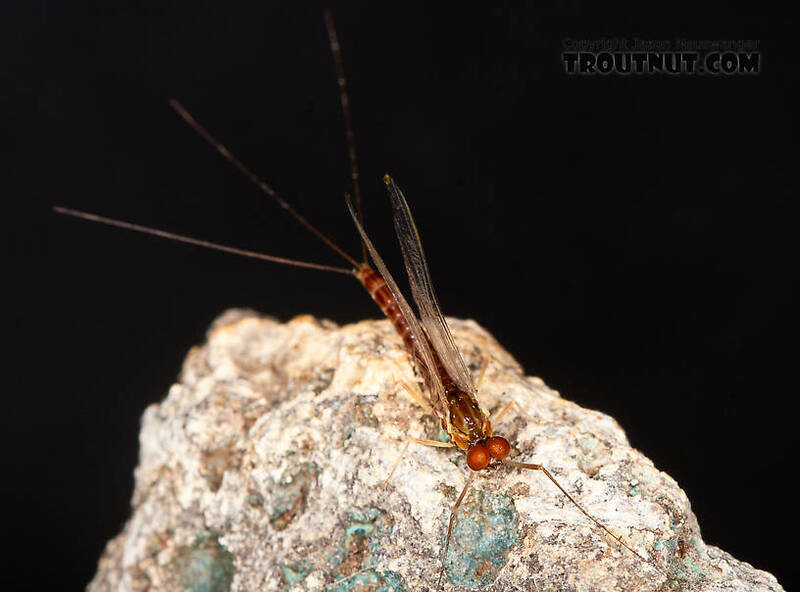 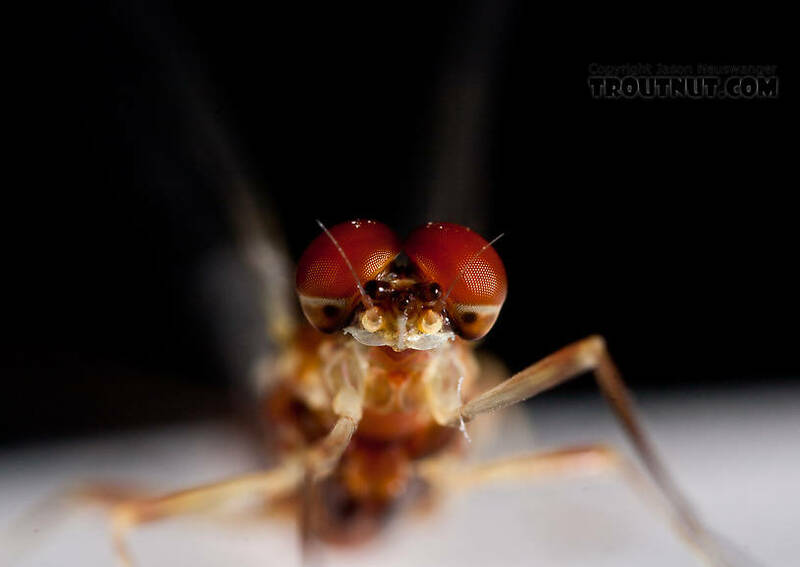 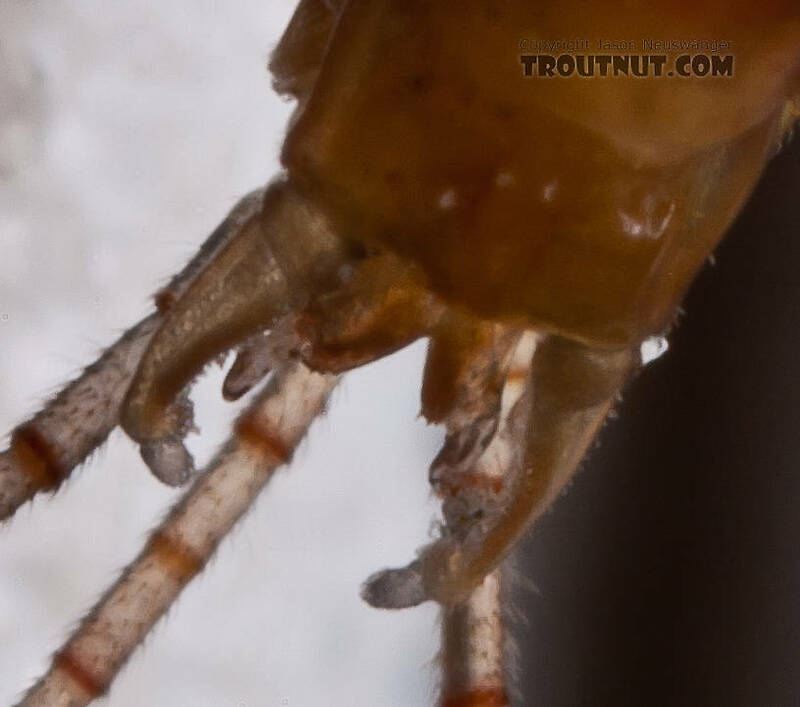 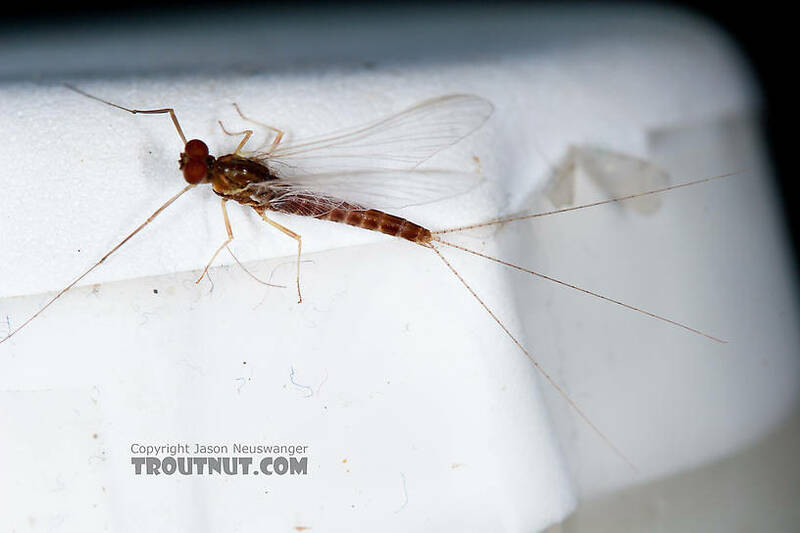 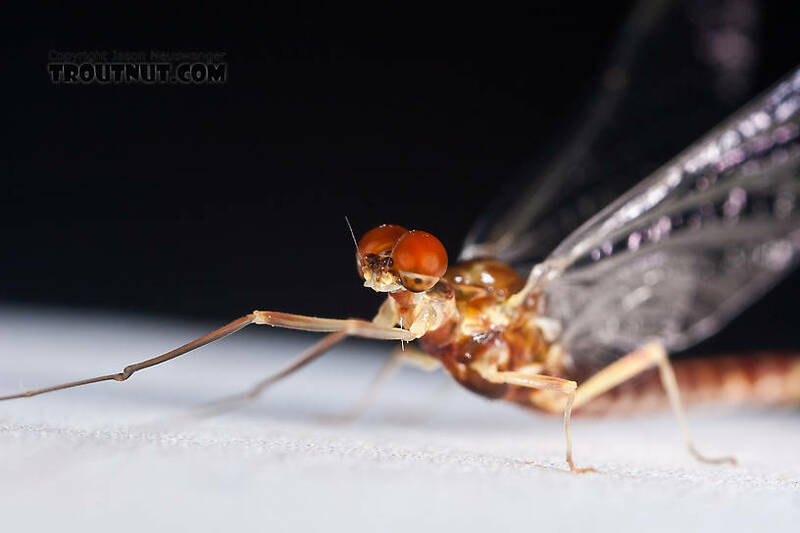 This mayfly was collected from Nome Creek on July 10th, 2011 and added to Troutnut.com on July 16th, 2011. 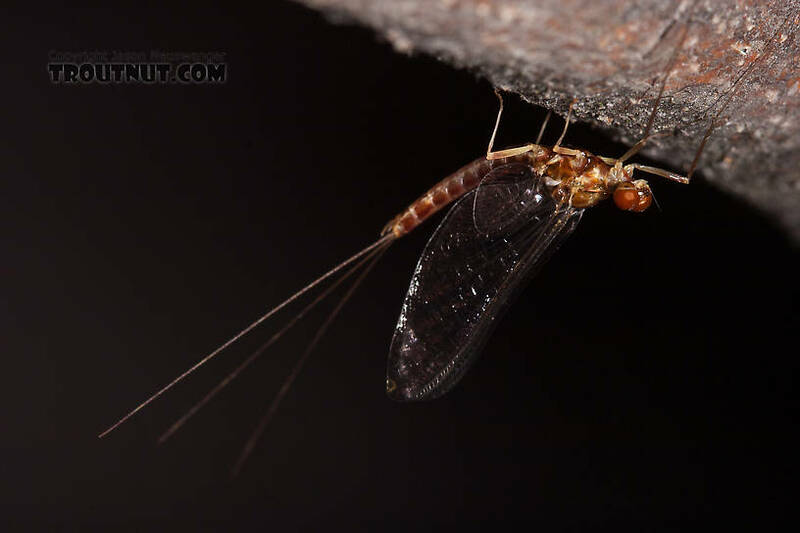 Here's the skin the dun shed as it molted into this spinner. 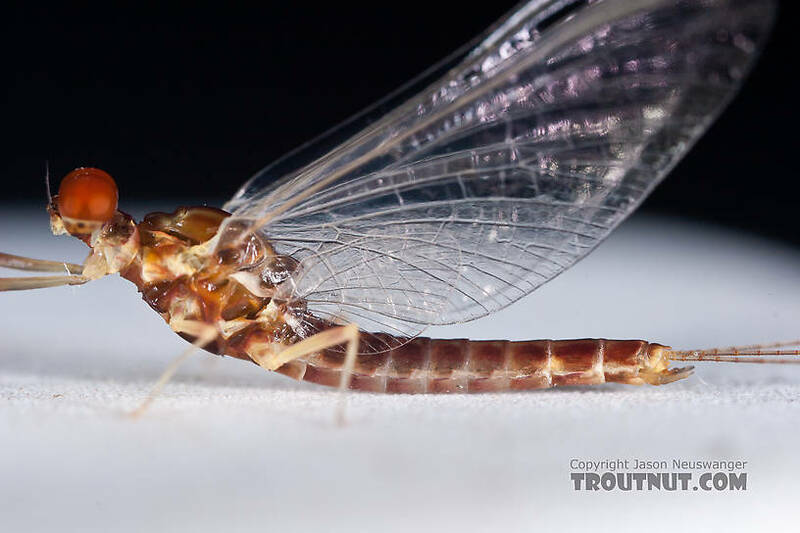 Gotta love Ephemerella spinners! 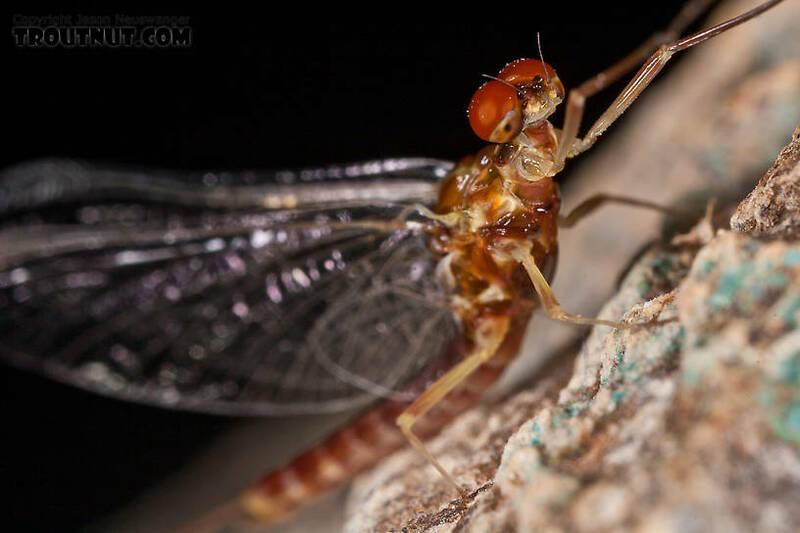 I was thrilled that this one emerged and molted intact, and then behaved so well in front of the camera.